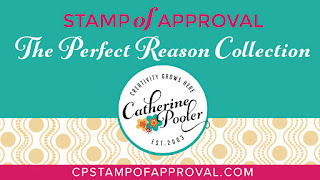 I am taking part in a blog hop as a guest designer for the Catherine Pooler Perfect Reason Collection! If you have never heard of this, it is a collection of stamps and dies (and sometimes something extra) that you can buy at a great price before the products are available on the market. You get a PDF file with tons of ideas to inspire you. This collection is sold to the waitlist though, so be sure to sign up! Want to get on the wait list? Click here! You will sign up for an email notification as to when the kit is available (February 8th) and you can shop through that link and grab a collection for yourself! Hurry though, they sell out very quickly! Want to win a collection? One winner will be chosen at random from each day's comments and announced on February 9 on my blog. The winners will win their box and if they already bought it, they will be refunded. I created the fabulous peacock card above in my video tutorial today. 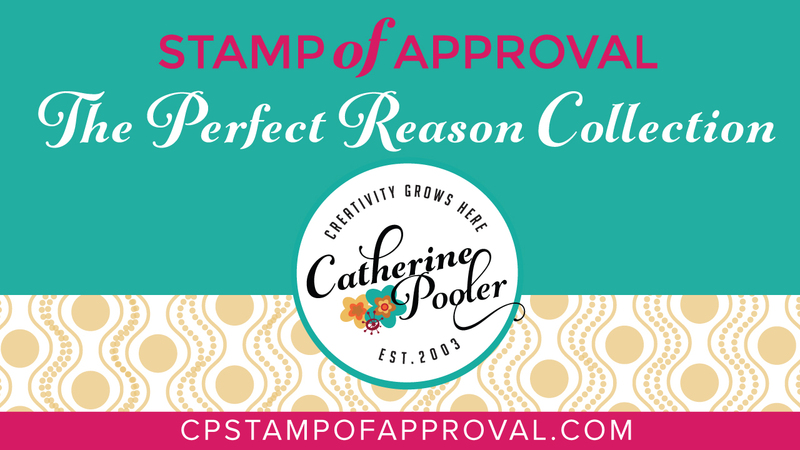 I used some of the fabulous Catherine Pooler inks in my video! This card shows off the awesome stencil that comes in the kit as well as some of the new stamps! Next up is Emily Leiphart! 5. Justine Hovey - you are here! 6. Emily Leiphart- go here next! Thanks for yhe tutorial! Love the peacock set! Love the Color combination. So pretty! Very beautiful cards and the inks are just a WOW!! Love the colors in the peacock! Beautiful cards - the congrats card makes me think of summer! Adore your peacock mounted on the collection of vine dies! Wonderful colors for both cards. So fun hopping with you, Justine! I really love your design style! Both cards are great! And I love the colors you were able to blend on that peacock! Love peacocks! Love how you caught the essence of their colorful feathers! Your peacock is gorgeous with the blended colors! Can't wait to get my kit. Thanks for sharing. Loviely ink colors. Love the peacock. These are amazing I can't wait to get my hands on this new collection. Great cards, Justine! I love the "citrusy" feel of the 2nd one! Beautiful cards! I love how you used the blending tool to add ink to the stamps! Your cards are beautiful. Thanks for sharing the techniques. I need all the help I can get. I love the stencil. Can't wait. I love how you inked up the peacock tail! Beautiful cards, can't wait to get my hands on the new SOA collection. These are just gorgeous! The peacock looks magnificent with the die-cut leaves behind it. And those colours, oh my! so many options....where to even begin. LOVE. Great cards! I really like the color choices. Super fabulous cards!! I love that peacock!! Beautiful cards! Love that pretty peacock! Great colors! Just beautiful cards, Justine! Thanks for the video! You make it look so simple. Thanks for the video. Must case the peacock!! Easy to add a little change here and there, but basic idea to run with. Beautiful cards! I always love the cards you make! This set looks awesome! That peacock is fantabulous, love the colors you chose for it! Love how you used the peacock on your card! This collection is truly great! Love the vines behind the peacock. Such a fabulous set of stamps and dies. I especially love your peacock card. And the video--I love videos! I love both your cards!!! Thanks for the great video! The peacock is beautiful! I love these new stamps and dies. This is going to be one of my favorite SOA sets for sure! Gorgeous cards Justine! Great video too! Love these! Thanks for showing how you inked the peacock's tail...I was wondering how you did it! Great cards! I love your peacock card. Thanks for sharing. Beautiful cards, Justine, I really enjoyed your video and watching your creative process. Thanks for your video...it's well done and your cards are creative. Thanks for sharing your cards. I am in love with the peacock! Great cards Justine. The way you have the peacock placed in the first card is so cute. Love the gradient background that you used the stencil technique! I'm sooo excited for this release! Gorgeous card, I love the colours in the peacock. Nice use of colours in both cards, Justine! Love how you've "ombréd" the colours in both cards. Really striking! And thanks for uploading the video. It's always great watching how a card comes together. Beautiful cards! I am loving that circles stamp! Great cards! Love to see the beautiful inks used so many ways. Thanks for sharing on the blog hop!! Love the colours, so refreshing! Justine, I love both cards but especially the peacock card. I have to get those inks! Beautiful colors. Love your cards. Gorgeous cards, I love your beautiful peacock card, it's stunning! Thank you for the great video as well, the inks look fantastic. Great cards. I can't get enough of the peacock set. I was in total control until I saw your peacock..Stunning! Gorgeous cards. Love that new leaf die & the new stencil. Those Catherine Pooler inks are absolutely gorgeous too. Great cards! Love the second card a lot! Hi Justine! I love how you used the leaf die on that first card, very classy! Ang the background on that second card really pops with Catherine's inks! I love your congrats card. I am thinking that the stencil for a background is a must have! Love your color combinations on both of your cards! These inks go so well together and blend just beautifully! Thanks you for your video. I love how you show varies things like how to use the stamps and way to store the dye cuts. Also to show how you blended the colors. Beautiful cards! Loved how colorful they were! Wow! those are great cards. Just love this SOA collection. Thank you. I love your colors for the peacock and how you blended them. Soooo excited about this collection. I'm also super excited to try her inks! Love the vines in the background. Absolutely so gorgeous! The congrats card has such fun colors!!! I can tell this box is a must have. Beautiful cards. Thank you for the video also! Lovely cards! 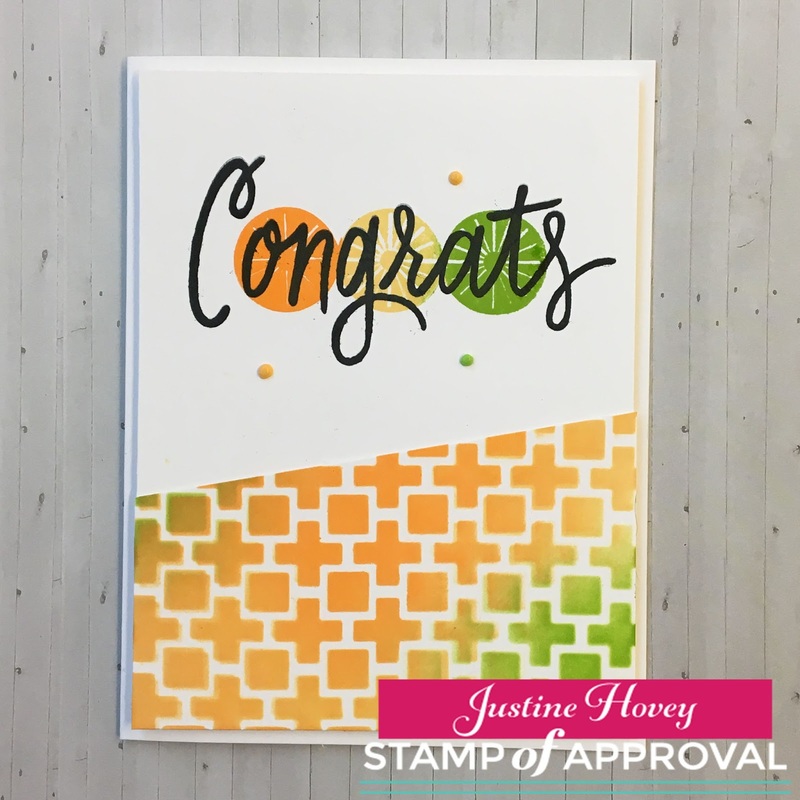 Love the citrus look on your congrats card! Beautiful cards. Love the colors on the peacock. Great cards Justine - I really like the "congrats" one - that stencil is really nice. Great cards. Thanks for the tutorial. The second card brings this Florida girl back home with your citrusy colors. Thank you for showing your technique for coloring the stamps. Love your second card! The colors are amazing. Love how you did the ink blending on the peacock. Love your cards! The colors worked really well together. Great cards. Love the bold sentiments. Awesome new collection. Awesome job on your cards they are adorable. Wonderful cards. Love the ideas. Another set of amazing cards! You did a great job with this collection! I can't wait to get it!! Oh wow!! These cards are amazing!! I LOVE the colors and the collection of stamps rocks! Great job on the cards! L9ve the technique of using the sponge applicator for multiple colors! Oh My Gosh!! Justine - these are awesome!! I love ❤️ Love that first one!! That peacock is going to be so much fun. Love this collection. Thanks for the technique of adding the colors to the stamps. Great colors on your cards. Love the peacock. Hi Justine ~ Your first card is simply stunning and I love the color combo you did with the peacock feathers. Just beautiful. Your second card looks absolutely yummy and I love the angled cut of the stenciled piece. Thanks for sharing. Omg love love this peacock! It's fantastic!!! Your congrats card is so bright and cheerful...I am loving the large congrats sentiment. I really enjoyed your cards and video, really inspirational! Love the way you used the peacock stamps and dies! And I love the second card too! Great job! I love the color blending on the peacock card. The congrats card reminds me of citrus. I love it! Great job. 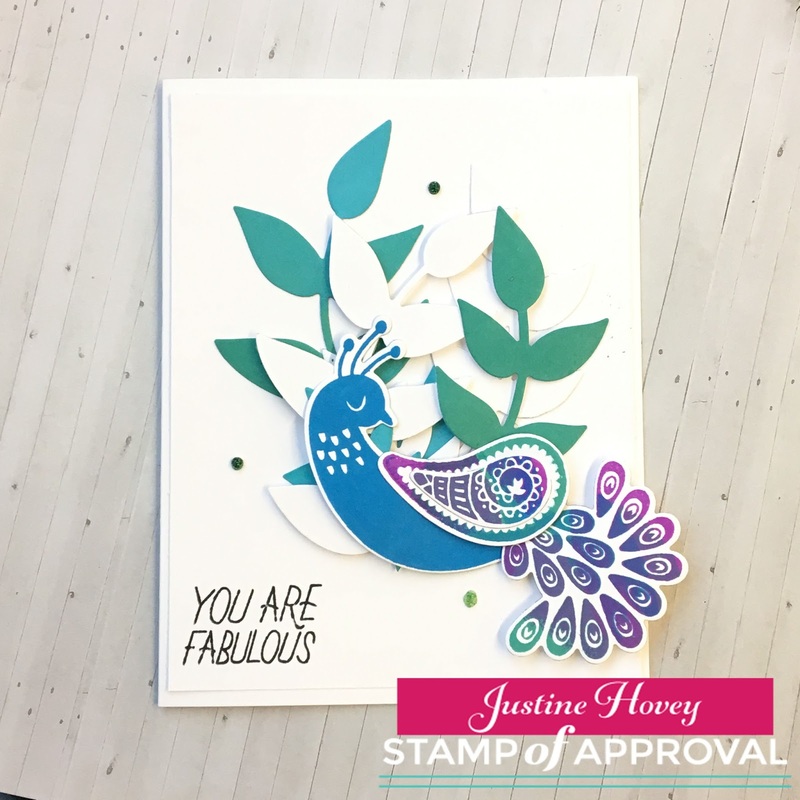 Oh Justine your peacock card is stunning! 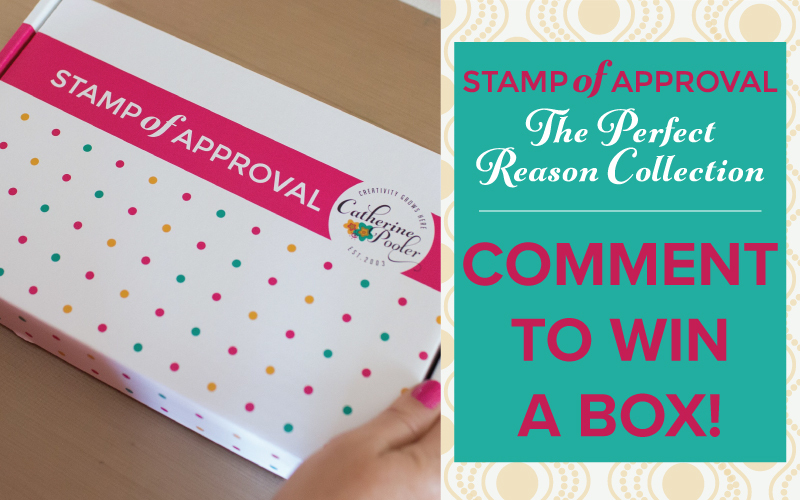 Your video really gives some great ideas for stamping with this new stamp set. I love your work! Beautiful cards, Justine!! It looks like we both had the same idea of creating multicolor paisleys. :) Loved getting to hop with you for this release! Love the peacock! You did such a great job! Your peacock card is so pretty! I love the colors and the design so much. Thank you for sharing your ideas! fabulous. Loved the video of your peacock. LOVELY CARDS, Justine...I'm in LOVE!! Thanks for sharing a video, also!! Beautiful cards! I love the multi coloured peacock in your video and the ombré effect in the second card. Love your cards!! These inks are so bright and cheerful!! Wow your cards are beautiful (as always). Thanks for sharing your video. Your peacock is perfect. I so want to case this card. The second card is a beautiful sumner like ombré. Both cards are superb. Thanks for doing a video Justine along with all the helpful tips. Great cards!! Gorgeous cards! Those inks really do look fabulous! I appreciate your video tutorial with the peacock stamps, and your thoughts on the inks. They do indeed look juicy! Love the look of the peacock against the greenery (vines), too. Fantastic cards! So vibrant and fun! Thanks for the tutorial. I'm loving everything about this collection. I love your color combo for the peacock it looks awesome. I'll have to give it a try. Thanks again. Beautiful cards - I especially love the peacock! and the colors are so intense. I have all the CP inks and they are wonderful. Thanks for the video too. Justine your cards are fabulous! Great new Collection of goodness Love the bright colors on your cards. Absolutely beautiful cards! Thank you for the tutorial! I really like your cards. I think those leaves are awesome!!! Man I really want those inks! They seem so smooth!! Love the use of peacock colors you did! Your color combinations are beautiful. The peacock card is so pretty and you did a fabulous job with the stenciling on the other card! Cute cards, love the colors!! I love that peacock! Great card. That peacock is so cute! Love your cards..thanks for the opportunity.. Loved the cards. I liked the way you stamped the Congrats over the circles and your use of the stencil. Justine ~ Welcome as a guest designer. I enjoyed your video. Your cards are so beautiful. The use of color on your peacock was spot on. Loved your layout as well. Gorgeous cards, Justine! Thanks for sharing and the video tutorial. Oh my, can hardly wait for the 8th to order. Nice cards. Enjoyed the video. Super cute card. Love the colors. Those leaves and that stencil are fabulous! I really like your cards. Tfs! What is there not to love. All your cards are fabulous. I am loving this kit more and more. Gorgeous cards! I love what you did with the vines. Your peacock is quite beautiful. Like the mix of 3 colors. Also like the colors used on the Congrats card - makes me think of an orange slice, lemon slice and a lime slice. Lovely use of the stamps and the colors are perfect! Love your tutorial. Thanks for sharing. Love he peacock! I love the peacock, he looks quite at home in front of the leaves. Omg I love it!! The tail feather that goes closest to the body (when cut out but not stamped yet) could be used as a potted flowering plant. But any hoo, gorgeous!! Wow! Amazing cards from an awesome kit! Love all the products I have seen so far. They are gorgeous! Fantastic cards, must be a beautiful kit with all the lovely bright colours. Justine these cards are so beautiful. Thanks for the video Justine, very helpful . Love the colors on the 2 cards. CP ink looks fantastic! Such a stunning peacock. The peacock is lovely! The color options are amazing! Great SOP set! Wow, how beautiful the peacock is! These cards are gorgeous! That peacock is so cool and I love your bright and cheerful congrats card! Your cards like you are fabulous! I love your use of color. Justine, I love your peacock card, it's beautiful I just love the colours used. I have to say that this is my favourite stamp set out of the collection. Awesome work, love the sweet details and beautiful layers! The peacock wins! Great use of color and layering. Wow. Thanks for sharing. Gorgeous, Both of your cards are fabulous. Thanks so much for sharing a video. Love your cards. Thank you for the first time buyer discount, making the video and sharing your ideas and techniques. Beautiful cards!! Love the peacock! Congratulations!! You are rocking your guest design spot! Gorgeous cards! Great cards! I knew they would be - your cards always inspire me! This is definitely a great collection! Thanks for sharing your creativity.